There Must Be More To Life Than Dishes and Laundry...: Scientists Abound! Last week was a busy week for our family. Wynter participated in the all subjects fair at her school and Brennan participated in an inventor's fair for district middle school students hosted by a local company. 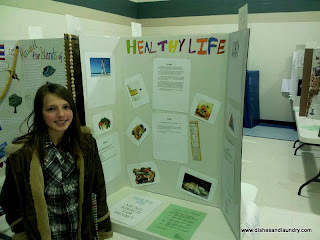 Wynter's school hosts an all subjects fair instead of a science fair. 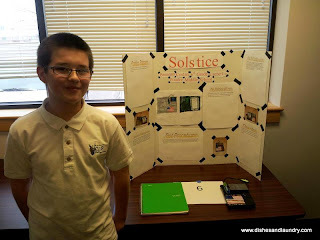 The idea is the same as the science fair but students were not limited to only science topics to research. Wynter's project was titled, "Healthy Life" and focused on a healthy diet and exercise. It was neat that she chose to study healthy diet and exercise all on her own. I think she learned a few things and having to manage an 8 week long project with interim guidelines, a paper, and a presentation is a great skill to have. 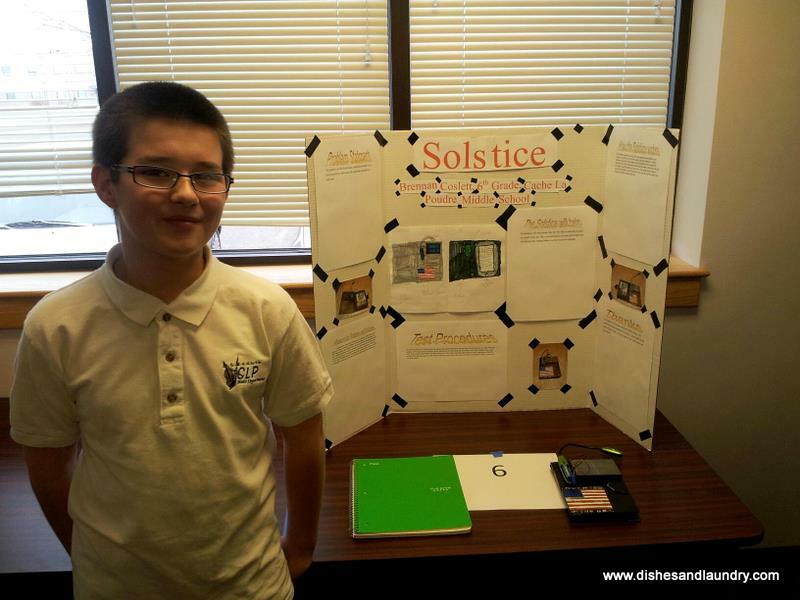 For Brennan's inventor's fair he could invent anything that didn't exist or make significant improvements to an existing product, similar to the guidelines for obtaining a patent. The company that hosted the inventor's fair was Wasson-ECE Instrumentation and they were very gracious hosts. They definitely encouraged the invention process within the kids. Each invention was judged and the students had to defend and discuss their inventions with the judges. The company provided plenty of snacks during the morning and while the judging results were tallied we were taken on a tour of their facility. While the entry materials said the top 20 inventions would receive $100 cash prize, all 32 entries received $100 cash. The top 3 inventions also received an opportunity to shadow one of the engineers at the company for 1/2 day. 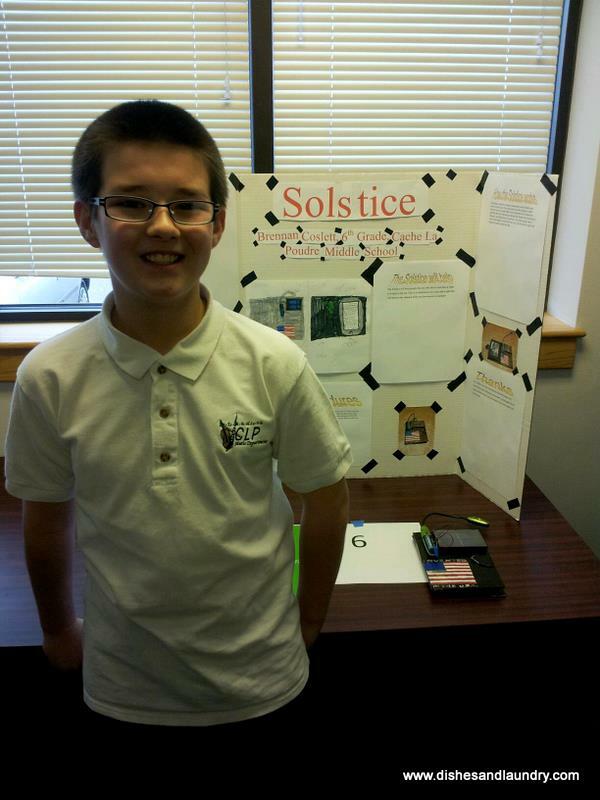 Brennan's invention was a solar powered light built into a nook cover. He has a Nook Simple Touch which is not backlight so he can't read in the dark. He likes reading in bed and doesn't have a bedside lamp and also likes reading in the car. Since it gets dark so early often our car trips are in the dark too. He wanted a case with a light built in but when he searched for one he couldn't find it. Making it solar powered was just an added bonus so you never have to plug it in. After some research and discussions with my hubby, who thank goodness is a mechanical engineer himself, Brennan designed and built the case and solar powered light himself. 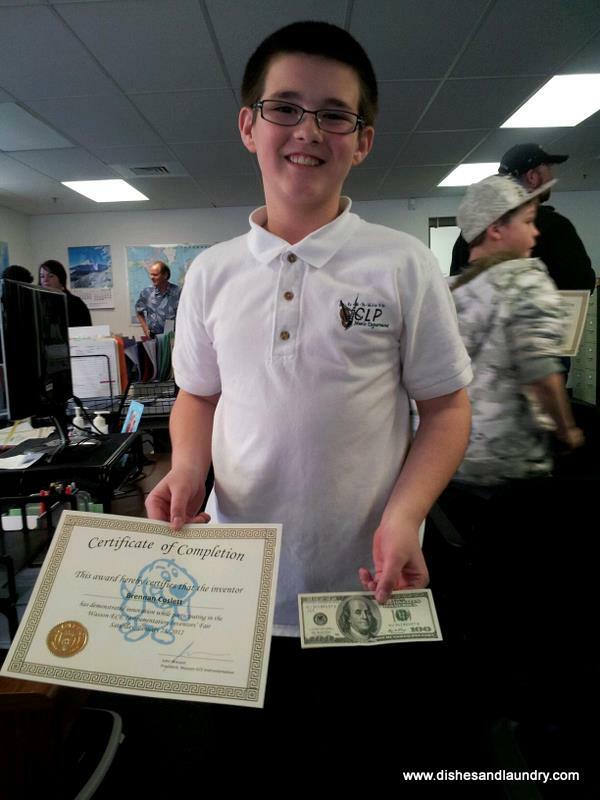 It turned out great and he was super excited to receive the $100 cash prize! The kids at my school are all bringing in their science fair experiments this week. Congrats to yours on the hard work! !